Assessment: In NJ, music educators need to show student growth objectives (SGO). We showed how Socrative can assist with this. Socrative (socrative.com) has free and pro versions where a teacher can create a quiz, exit ticket, short answer, or space race, to pre- and post-test their students to assess their SGO. When the teacher uses the free version, they create an account, create a public room (i.e. School Music Room 21), create a test that can utilize pictures, and launches the quiz. The students click on the student login, input the room name (i.e. School Music Room 21), input their names, and begin taking the quiz. The students do not need email addresses, which is extremely helpful. The teacher can set up the quiz so that the student can pace themselves and skip questions when needed. The teacher can also set up the quiz so that there is no instant feedback to the student. On the teacher’s laptop, the teacher can see all of the results live and can export them later. In the Pro Version, the steps of the student login are eliminated and the teacher can export directly to Google Drive. Other great devices like Socrative are Quizlet, Plickers, and Kahoot!. 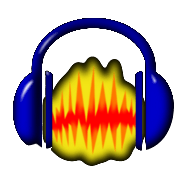 Editing Audio Recordings: Audacity is a free open source, cross-platform audio software for multi-track recording and editing available for Mac, Windows, and Linux. I demonstrated how to click and drag an audio file (one from iTunes and one downloaded from YouTube using SaveFrom.net) and how to change the pitch by highlighting the file, clicking on “Effects”, and scrolling down to “Change Pitch”. “Effects” is also where you can change the tempo and remove the vocals (removing the vocals works on some audio files). Engaging Instrumentalists: For this, we explored Staff Wars V2.2 from http://themusicinteractive.com/performance-apps.html. This is a free software game that you can download onto your computer. Your students can select their instrument and then perform the notes as the notes fly across the screen. As they perform the notes correctly, the notes explode and the game accelerates. After a slew of correct answers, the death star explodes. This is also a .99 app for iOS devices. If you want your students to just name notes on the staff, this website also has StaffWars as a free downloadable software for your computer. StaffWars is also a paid app for iOS and Chromebooks. STEAM: We explored two units: one for PreK and one for grade three. For PreK, I showed how the PreK students learned about instruments in music class and then created them in the Studio. This follows an inquiry-based format where the students research about topics that they have questions. Last year, they created shakers and sand blocks, which developed into answering the essential question of “How does music affect the environment?” as they explored the Studio for 30 minutes while listening to live music. The students created song books, painted pictures, danced, and played music because of how the live music inspired them. This year, they are asking musical experts about how to create drums and woodwind instruments. Currently, I have shown them numerous ways to create a flute. In grade three, I showed the participants the science and music STEAM unit that the science teacher and I have performed for the past three years. In the workshop today, we created instruments from recycled materials and created music using Noteflight and Soundtrap. I finished by showing them student reflections about their instruments and how they performed their compositions on their newly created instruments. Makey Makey: My colleague Maedean showed everyone how to use Makey Makey in a music classroom. She had us learn how to connect the device and how to use the device with the apps found at makeymakey.com. We learned the importance of being “grounded” to make sure that the makey device worked with the apples, marshmallows, gummy bears (hint: squeeze the gummy bears to help them make a sound), bananas, bottle caps, lead, and foil. We ended by making a human keyboard, which we learned could work in her room because her carpet had a rubber lining under it and all we had to do was lift our legs to make the keyboard notes perform. 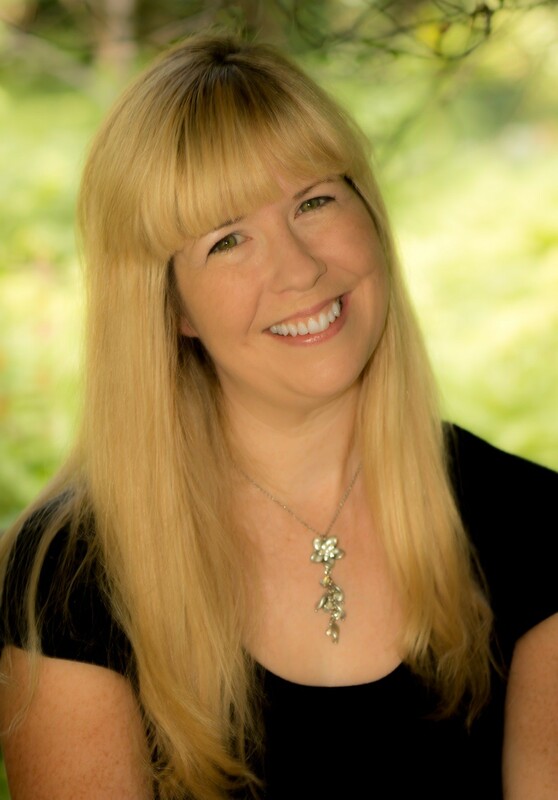 To see the notes from today’s workshop, please go to http://amymburns.com/resources/and click on Wyckoff Workshop. It was a great day of professional development. 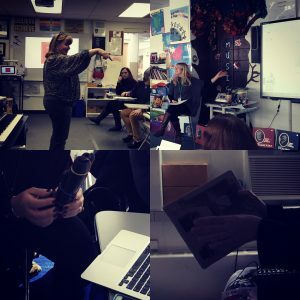 It was a day of thinking outside the box as to where technology could enhance integrating music across the curriculum!